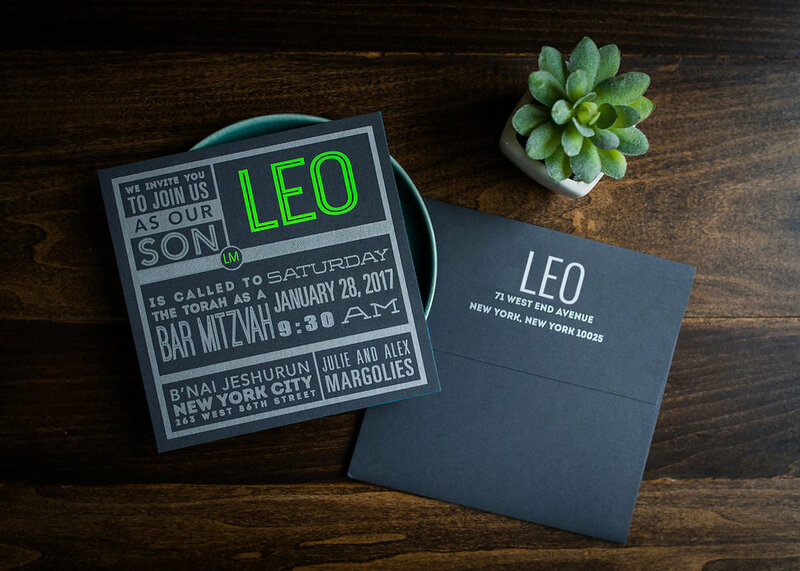 Penn & Paperie designs one-of-a-kind invitations for Bar & Bat Mitzvahs that are sure to make a lasting impression on your guests. You will work one-on-one with Owner and Designer Margo to create custom invitation that celebrates this very special moment in your child's life. Our unique capabilities set us apart. We work with interesting materials like acrylic, fabric, and faux leathers. 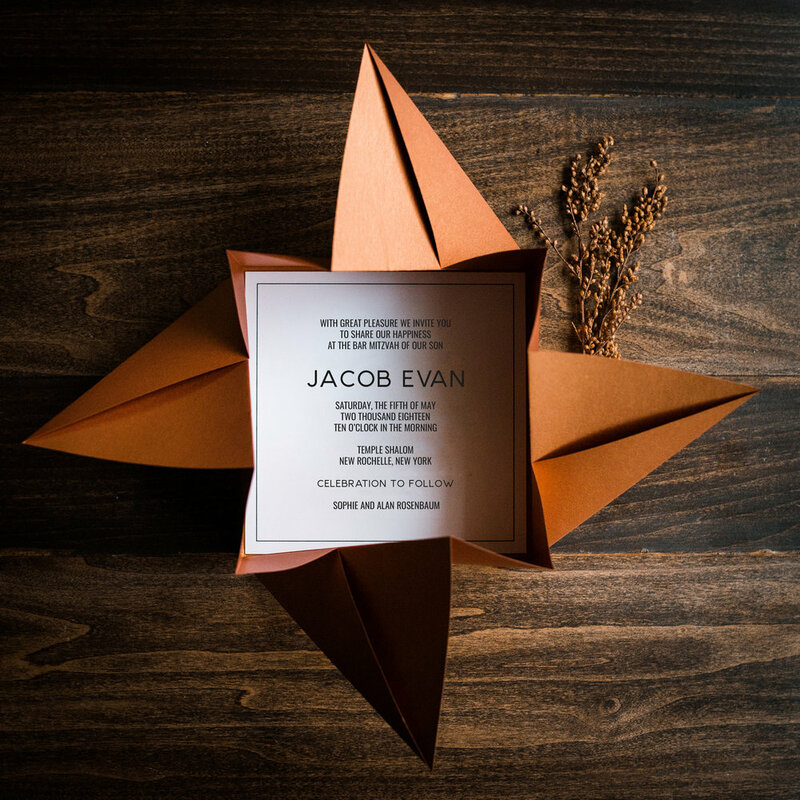 We can create invitations in any shape and size - even origami and laser cut invitations. You name it, we can do it. 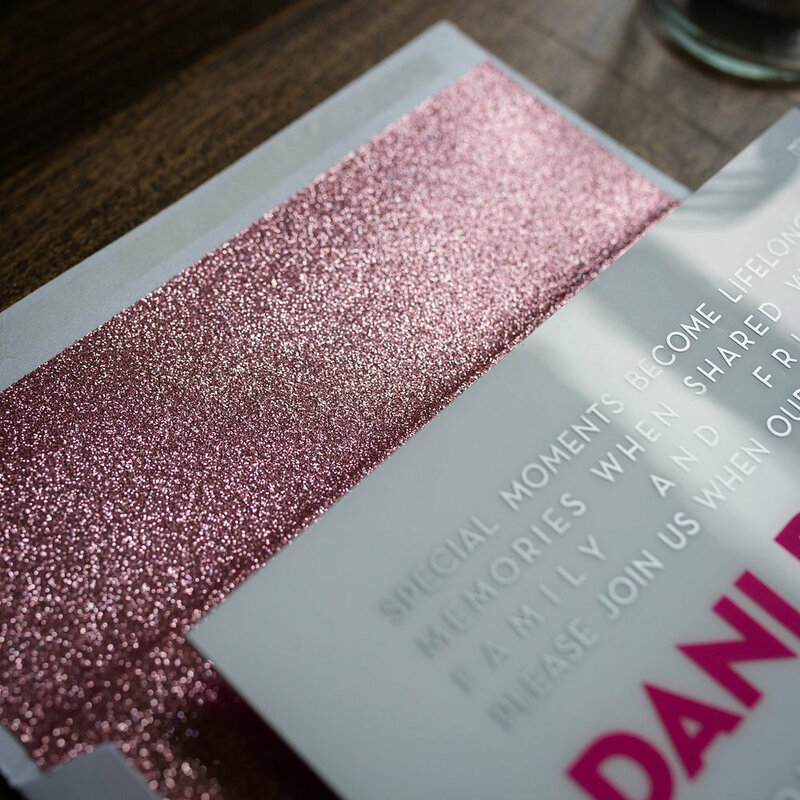 All of our envelopes are custom made from premium thick cardstock, and we include upgrades like custom liner printing and envelope piping for no additional charge. Our starting prices are $15 per invitation suite, while our average client spends $18+ per invitation suite. 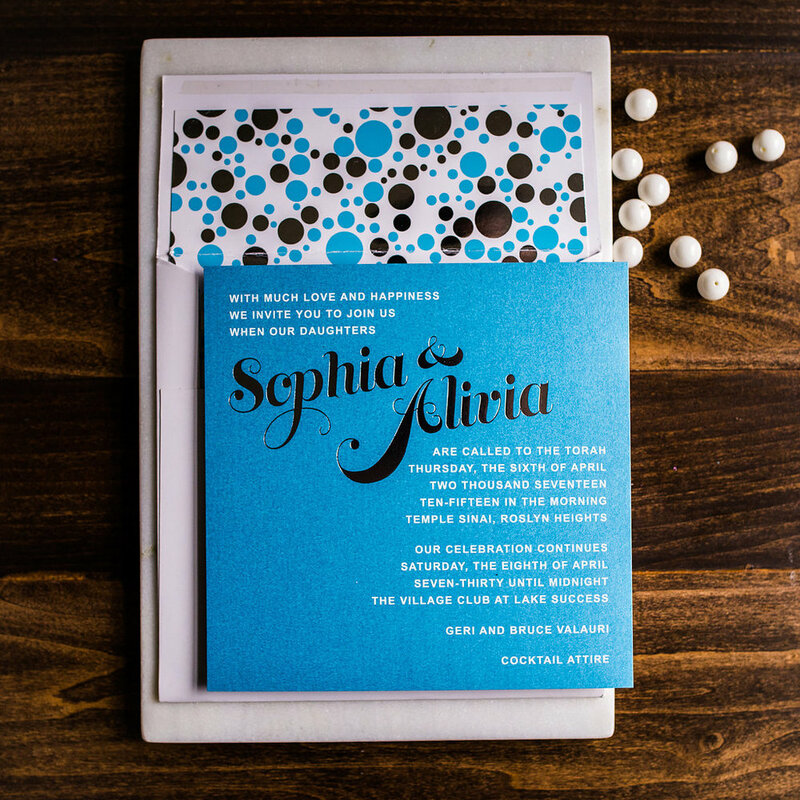 An example of what a suite includes is a custom invitation, RSVP set, guest addressed envelope, and design printed on the inside of the envelope . Estimations are loosely based on quantities of 100+ and vary depending on the design. To receive a firm quote, please fill out the enquiry form below. Submit an enquiry form to receive additional details or to schedule a phone consultation. Have a quick question? Give us a call at (302) 827-7366. What style of invitation you are interested in? Do you like unique papers or materials - like acrylic, faux leather, or velvet? Perhaps a unique shape or size? What is the color palette and theme? The more information you can provide the better! Did you want to chat on the phone? If so, please mention your best availability and time zone so that can set up a call. Did you want to chat on the phone? If so, please mention your best availability and timezone so that can set up a call.